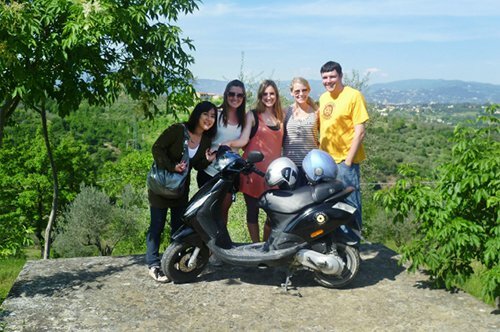 Tuscany and Surroundings: enjoy your tour with a private guide! Because Tuscany is the most famous Italian region in the world. 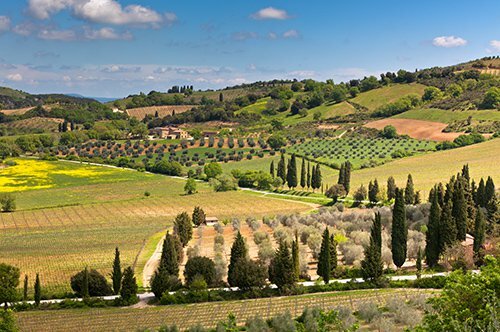 Tuscany is a region rich in tourist attractions, art, architecture, it is also the home of wine and is famous for its cuisine with typical food products. Visiting Tuscany means discovering magnificent villages, which are one of the most beautiful and typical landscapes of Italy. Tuscany is sea, mountain, countryside, hot springs, and art. 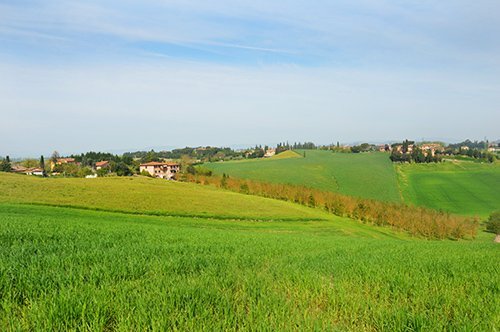 Tuscany, with its gentle hills and impressive landscape, is the tourist destination of many Italians and foreigners. Villages of unique charm such as San Gimignano, Montepulciano, Volterra, Lucca, Arezzo, Cortona, not forgetting the cities of Florence, Siena, Pisa and many other smaller towns with medieval charm. Tuscany has gone through more than 2000 years of history, beginning with the mysterious Etruscan villages that had occupied the territory between the valleys of the Tiber and the Arno. In this region called by the Latinos Tuscia, from which the name Tuscany derives, the Etruscans founded several autonomous city-states. The Romans defeated the Etruscans in the 2nd century BC, thus beginning a period of decline for the Tuscan cities that lasted even in the Middle Ages, under the rule of the Lombards. The economy of Tuscany began to recover only in the 12th century, when Pisa developed commercial relations with the East while in Florence and Siena the flourishing financial and industrial activities were born, giving rise to a new social class: the bourgeoisie, protagonist of confrontations with the traditional imperial and feudal power. The Güelfa Florence emerged victorious from the bloody struggle thanks to the Pope's support and managed to acquire a position of dominion throughout the area. At the beginning of the 15th century, Lucca and Siena were the only two free cities in the region. Tuscany has seen the birth of the Renaissance and some of the best-known artists around the world, for this reason, it preserves a unique historical, artistic and literary heritage. In 1434 the Medici became the lords of Florence who, under Cosimo the Elder and Lorenzo the Magnificent, became the cultural capital of Tuscany and an economic and political powerhouse. In the 16th century, the estate was transformed into the Grand Duchy of Tuscany and subdued Siena, while Lucca remained the only independent city in the region. In 1737, the Grand Duchy of Tuscany passed into the hands of the House of Lorraine. The Lorraine provided a reorganization with modernization works, their dominion continued until the Unification of Italy, with a brief interruption during the Napoleonic period. During the Napoleonic period and during the early period of the Unification, patriots, and writers found political asylum in Tuscany. In 1860, with the annexation of the Grand Duchy of Tuscany to the Kingdom of Italy, there was a strong federalist and autonomist spirit in Tuscany, thanks to which Florence became the temporary capital from 1865 to 1870, becoming the center of culture and Italian politics. During the first post-war period, Tuscany experienced a period of economic crisis; only after World War II was there a resumption of industrial production and the development of the tourism industry. Tuscany is an Italian region located in the center of Italy, its capital is Florence. It is bordered on the Northwest by Liguria, on the North by Emilia-Romagna, on the East by Marche and Umbria, and on the South by Lazio. Its coastlines are bathed by the Ligurian Sea, in the central-north part between Camarra and the Gulf of Baratti by the Tyrrhenian Sea, the southern coastal stretch between Cape Piombino and the mouth of Chiarone, which is the border with Lazio. All the artistic beauties of the Region remember not only its rich past but also the stories and events that have turned Tuscany into the cradle of Italian civilization and culture. Did you know that Tuscany is the birthplace of the Italian language? During the Renaissance, Tuscany played a fundamental role for cultural and artistic development in Italy and Europe. The Italian Language that we speak today derives from the Tuscan dialect that was born in that period. Did you know that in Tuscany there are 7 places that are part of the UNESCO World Heritage? For this reason, Tuscany is an important tourist destination around the world. The UNESCO heritage sites are the historic center of Florence, the Piazza del Duomo in Pisa, the historic center of San Gimignano, the historic center of Siena, the historic center of Pienza, the landscape of the Val d'Orcia, the villas and the gardens of the Medici. Did you know that Chianti, in addition to a wine, is an area of Tuscany? Tuscany is a region of great wine production, in particular, the very famous Chianti area, where different red wines are produced that are appreciated all over the world. WHAT TO SEE IN TUSCANY AND ITS SURROUNDINGS? Tuscany and its surroundings, is a beautiful region waiting to be discovered, offers many beautiful cities and cultural itineraries to visit. The countryside, the monuments, the museums, its gastronomy with its typical dishes and the wine are the particular beauties that you will appreciate this beautiful territory. · Florence, with its museums, palaces, and churches, houses some of the most important artistic treasures in the world. 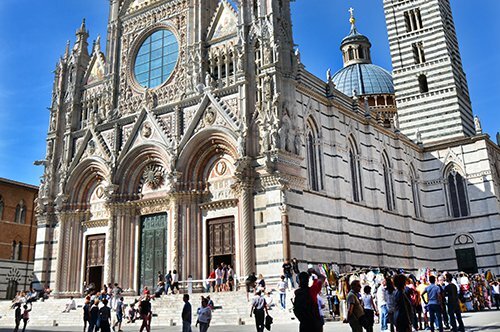 · Siena, with its medieval center full of majestic gothic buildings, churches, and museums that house true masterpieces of art. 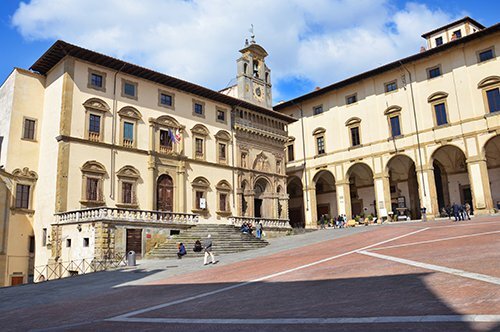 · Arezzo, a city of art and poets that preserves in its historical center all the charm of its rich past. 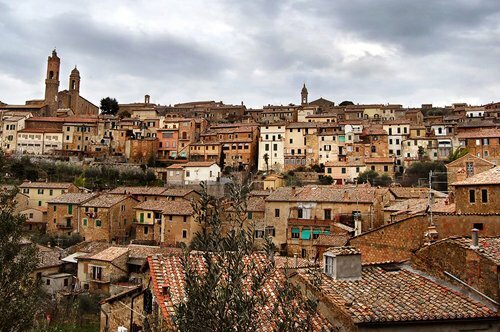 · Cortona, a small medieval village in the Valdichiana surrounded by an ancient Etruscan wall. · San Gimignano, a small fortified town halfway between Florence and Siena, famous for its architecture and medieval towers. 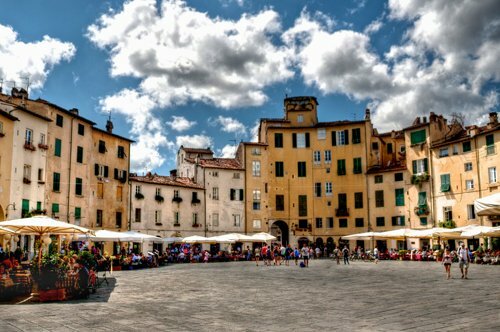 · Lucca, surrounded by its walls that have been preserved virtually intact. 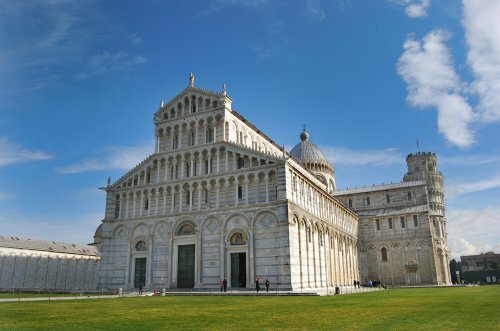 · Pisa, with the famous Leaning Tower that makes this city known throughout the world. · Val d'Orcia, an essential landscape in the heart of the lands of Siena, enriched by hills, uncultivated lands, by the sinuous course of the river of the same name, by the cypresses that crown the hills with villages and monuments of extraordinary charm. 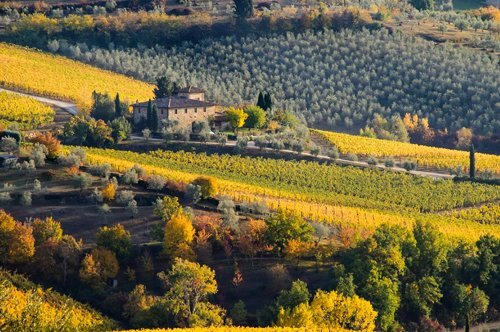 · Chianti, a sweet hilly chain of hills between the provinces of Florence, Siena, and Arezzo that characterizes this land rich in wine, olives, and typical products. 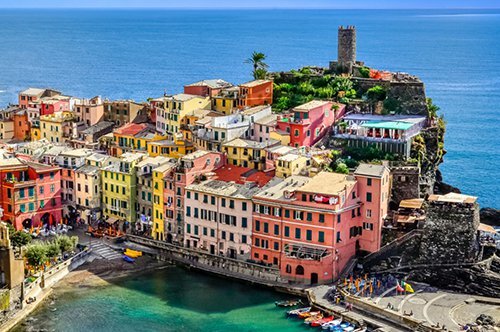 · Cinque Terre, one of the most beautiful natural Mediterranean areas of Liguria, very close to Tuscany, a coastal stretch of about 10 km characterized by the presence of five ancient towns Monterosso, Vernazza, Corniglia, Manarola, and Riomaggiore. Tuscany is the ideal place for lovers of good food, for wine lovers who want to taste simple and genuine flavors of typical dishes and local wines, for those who love to walk the mountain trails, for cyclists and lovers of the sea and the coasts. Remember that you can find everything in one wonderful region!